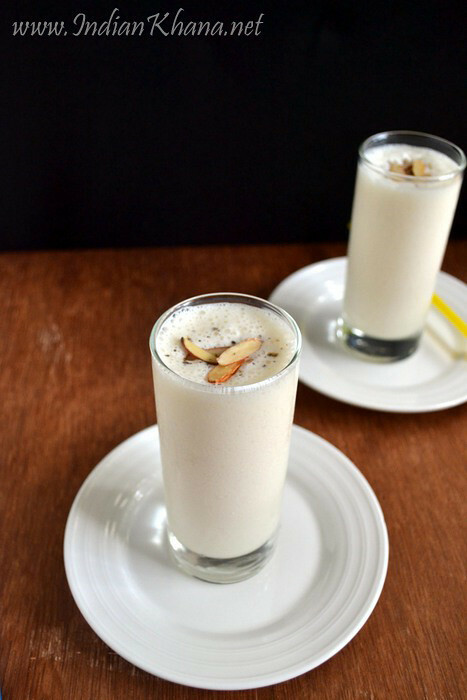 Cardamom powder, almonds, saffron etc are optional ingredients in lassi, just a plain lassi taste delicious too. 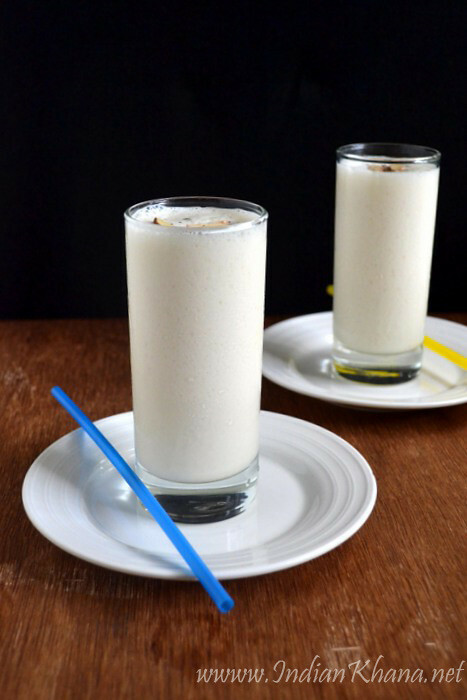 Have a tall glass of lassi and it can be your filling breakfast too, it's a good way to add calcium in our diet and specially good for kids if they don't drink milk easily. I wanted to do the lassi post always in the steel tall glass but in the end movement I changed my plain perhaps other version of lassi in more traditional way I will present. 1. In a blender or mixer add curd, sugar, milk or water (I used milk), rose or kewra water. 2. 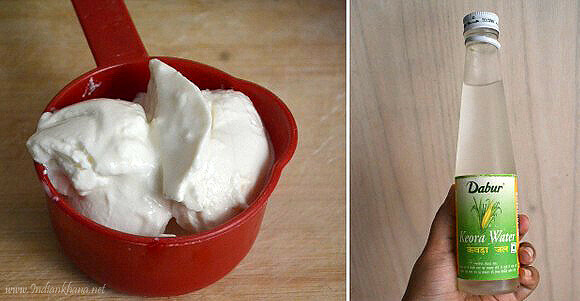 Blend until yogurt is evenly blended for around 1-2 minutes, don't over do it or butter will float on top. 3. 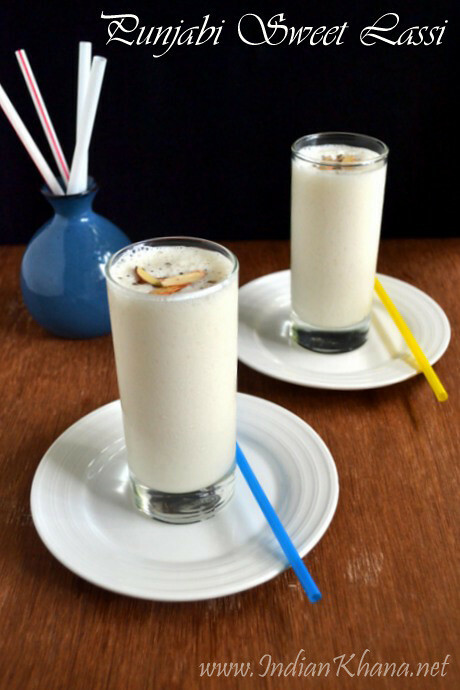 Pour in serving glasss and garnish with cream (malai), remaining cardamom powder and almonds. - You can chill and do then garnishing before serving or add ice cubes. I generally don't add ice cubes but use chilled yogurt. You can see my homemade yogurt is very thick, if your yogurt/curd is not thick and runny then skip milk/water and use only yogurt. You can add pinch of saffron while blending. I always use fresh curd it's works best and we don't have to add more sugar. Don't use very sour curd. WOW..LOVELY CLICKS...AND NICE LASSI FOR THE HOT WEATHER OUT HERE..
Lassi is definitely the ideal warm weather drink! And I love the look of yours.